Sir Mo Farah (running handicap -7.7) is set to return to the Vitality London 10,000 on Monday 27 May to defend his title at the capital’s most inspiring 10km road race on the spectacular course which starts on The Mall and finishes in front of Buckingham Palace. Great Britain’s Olympic legend and multiple world champion won the 2018 Vitality London 10,000 in a time of 29:44 where he outsprinted British runners Richard Allen (handicap -4.3) and Matthew Sharp (handicap -3.7) in the final 500m. This year will be the 36-year-old’s seventh appearance in London’s top 10k, with wins in 2009 and 2010, when he set the course record of 27:44, then three more victories in 2012, 2013 and 2018. A record number of more than 17,000 participants are expected to run on the course which passes iconic London landmarks such as Admiralty Arch, Nelson’s Column, St Paul’s Cathedral, Mansion House, the Bank of England, the Old Bailey, Somerset House, Big Ben, the Houses of Parliament and Westminster Abbey. 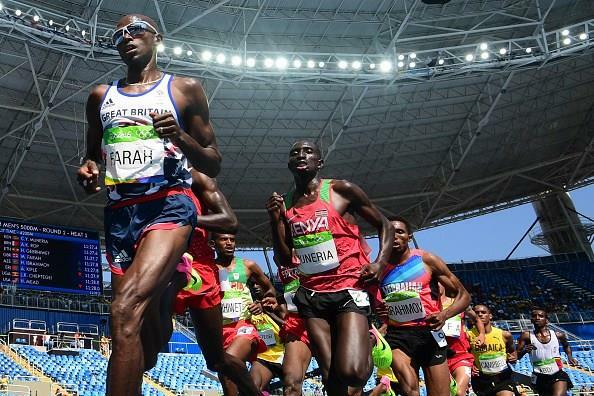 Farah will be making a swift return to London’s roads following his appearance at the Virgin Money London Marathon next month. The Vitality London 10,000 also incorporates the British Athletics 10km Championships for men and women. Farah will also be at the Vitality Westminster Mile the day before (Sunday 26 May), as the official starter for the family waves, cheering on thousands of runners of all ages and abilities who are taking part in the one mile events, starting on The Mall and finishing in front of Buckingham Palace. For help and advice for 10k training, visit our Training and Advice section. For a ten week schedule to break 40 minutes, click here.